BT Group plc (BT.L) today announced its results for the third quarter to 31 December 2017. "Our third quarter financial results are broadly in line with our expectations and we remain confident in our outlook for the full year. We continue to improve our customer experience metrics across the Group, with our sixth successive quarter of improved customer perception. “We continue to work closely with the UK Government, Ofcom and our customers to expand the deployment of fibre and Openreach recently announced plans to accelerate our FTTP deployment to three million premises by the end of 2020. 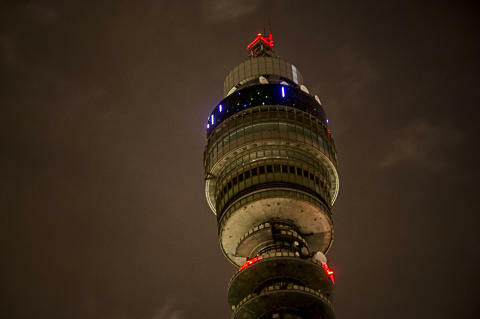 “We agreed a TV deal with Sky that will deliver market leading sports and entertainment channels to our BT TV platform by early 2019, reinforcing our strategic goal of being the best provider in the UK of converged network services. “The triennial valuation of the BT Pension Scheme is proceeding and constructive discussions continue with the BTPS Trustee. We still expect to complete the valuation in the first half of the 2018 calendar year. Our aim remains to deliver fair, flexible and affordable pensions to all of our employees. Certain statements in this results release are forward-looking and are made in reliance on the safe harbour provisions of the US Private Securities Litigation Reform Act of 1995. These statements include, without limitation, those concerning: our outlook for 2017/18 including revenue, EBITDA, free cash flow and progressive dividends; Openreach’s acceleration of its FTTP programme; and our investment in the roll out of 4G. 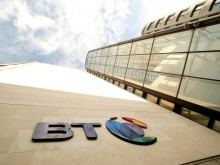 Although BT believes that the expectations reflected in these forward-looking statements are reasonable, it can give no assurance that these expectations will prove to have been correct. Because these statements involve risks and uncertainties, actual results may differ materially from those expressed or implied by these forward-looking statements. Factors that could cause differences between actual results and those implied by the forward-looking statements include, but are not limited to: material adverse changes in economic conditions in the markets served by BT whether as a result of the uncertainties arising from the UK’s exit from the EU or otherwise; future regulatory and legal actions, decisions, outcomes of appeal and conditions or requirements in BT’s operating areas, including the outcome of Ofcom’s strategic review of digital communications in the UK, and the implementation of the DCR commitments, as well as competition from others; consultations and market reviews including the outcome of Ofcom’s reviews of the Wholesale Local Access, Wholesale Broadband Access and Business Connectivity markets and forthcoming spectrum auctions; selection by BT and its customer facing units of the appropriate trading and marketing models for its products and services; fluctuations in foreign currency exchange rates and interest rates; technological innovations, including the cost of developing new products, networks and solutions and the need to increase expenditures for improving the quality of service; prolonged adverse weather conditions resulting in a material increase in overtime, staff or other costs, or impact on customer service; developments in the convergence of technologies; external threats to cyber security, data or resilience; political and geo-political risks; the anticipated benefits and advantages of new technologies, products and services not being realised, including the proposed investment in our FTTP broadband network; the timing of entry and profitability of BT in certain markets; significant changes in market shares for BT and its principal products and services; the underlying assumptions and estimates made in respect of major customer contracts proving unreliable; the anticipated benefits, synergies and cost savings of the EE integration not being delivered; the improvements to the control environment proposed following the investigations into BT’s Italian business not being implemented successfully, effectively or timeously across the Group; the outcome of the BTPS triennial valuation and discussions on the pensions review; and general financial market conditions affecting BT’s performance and ability to raise finance. BT undertakes no obligation to update any forward-looking statements whether as a result of new information, future events or otherwise.